LESSONS IDENTIFIED CONFERENCE FOR THE EADRCC EXERCISE "BOSNA I HERCEGOVINA 2017"
The Euro-Atlantic Disaster Response Coordination Centre (EADRCC) held the consequence management command-post and field exercise "BOSNA I HERCEGOVINA 2017" on 25 - 29 September 2017. The exercise was jointly organized by the EADRCC and the Ministry of Security of Bosnia and Herzegovina. In order to take stock of lessons identified during the exercise, and in line with the recommendations of the 2014 Report on Lessons Learned from operations and exercises by the EADRCC will organize, in cooperation with the NATO Centre of Excellence for Crisis Management and Disaster Response in Sofia, Bulgaria (CMDR COE), a “Lessons Identified Conference for the EADRCC Exercise BOSNA I HERCEGOVINA 2017". - Support to national authorities in building resilience through improved disaster preparedness, planning, prevention and response, and strengthening their capability to manage potential civil emergencies. - Cooperation and tools available to partners, including the use of modern technology in disaster response. - EADRCC procedures and capabilities for improving cooperation among Allied and partner nations during a consequence management operation, including response to chemical, biological or radiological incidents. - Procedures and capabilities for reception and provision of international assistance and effective organization and co-ordination of consequence management operations involving international response teams. - Cross-border cooperation among neighbouring countries, including through the application of the provisions of the Memorandum of Understanding for the Facilitation of Vital Civil Cross Border Transport. - The use of the Inventory of National CBRN Consequence Management Capabilities in the exercise. - The practice of internationally agreed guidelines, including the International Search and Rescue Advisory Group (INSARAG) guidelines for urban search and rescue teams (USAR). - Civil experts’ familiarization with the CEP Crisis Management Arrangements (CMAs), in terms of its capabilities, responsibilities and mechanisms (e.g. CEPC, EADRCC, PGs), supporting the overall NATO Crisis Response System (NCRS). The conference will start on Monday evening, 29 January 2018, with an ice breaker hosted by NATO. On Tuesday 30 January 2018, the conference will continue with a plenary session, focusing on the wider subject of lessons learned from the EADRCC exercise. In the afternoon, the participants will address specific aspects of the exercise in two parallel working groups. The subjects will be introduced by a facilitator to be followed by an in-depth group discussion aiming at identifying lessons from the exercise. The results of the group discussions will be consolidated into lessons identified by each working group in a parallel session on Wednesday morning, 31 January 2018. The lessons identified will be presented in a final plenary session by the moderators of the two working groups. The conference will end on 31 January 2018 by noon. 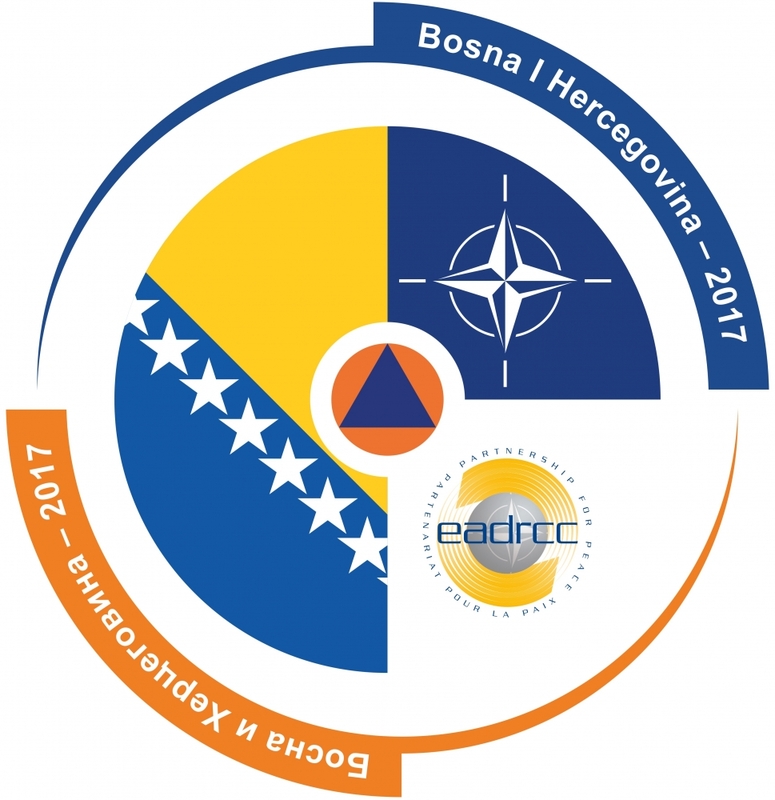 The conference will be open to Allies and partner participation under the same principles and conditions agreed for the participation to the EADRCC exercise "BOSNA I HERCEGOVINA 2017". Allied and partner countries are invited to send one participant to the conference. The countries that participated to the exercise with teams and/ or staff (OSOCC, DISTAFF and Assessors) are invited to send two participants. The working language for the seminar will be English, with simultaneous interpretation into Bosnian and Russian. - Hotel room reservations will be made by the CMDR COE. - Participants are kindly requested to register on the CMDR COE website (just click below on the button REGISTER NOW) not later than 15 December 2017.